Now I know none of my images will be able to capture the full beauty of this stunning wool woven. Trust me, it is swoon-worthy. 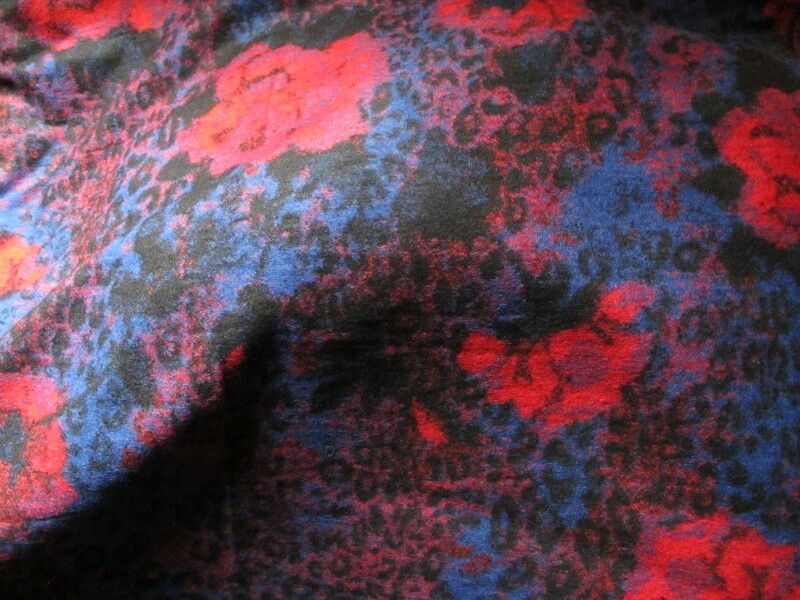 This image captures the tone and colours of the fabric as much as my camera will permit. The actual colours are deeper and moodier and even closer in the tonal range than depicted here as my camera just loves to pick up the reds and highlight them. I don’t know how to adjust that! So, this woollen is at the lighter end of the range, making it really versatile. Give it some construction layers for outwear, or keep it light for winter sheath dresses or skirts. I call this a wool woven but it does have about 5% stretch to it, just the perfect amount for some wearing ease. Whenever you don’t want the stretch, just fuse the whole back of the fabric with a lightweight interfacing. Marc Jacobs does this a lot with his fabrics. I have picked up woollens from him that started out as lighter woollens but were turned into jacket/coating fabrics this way. 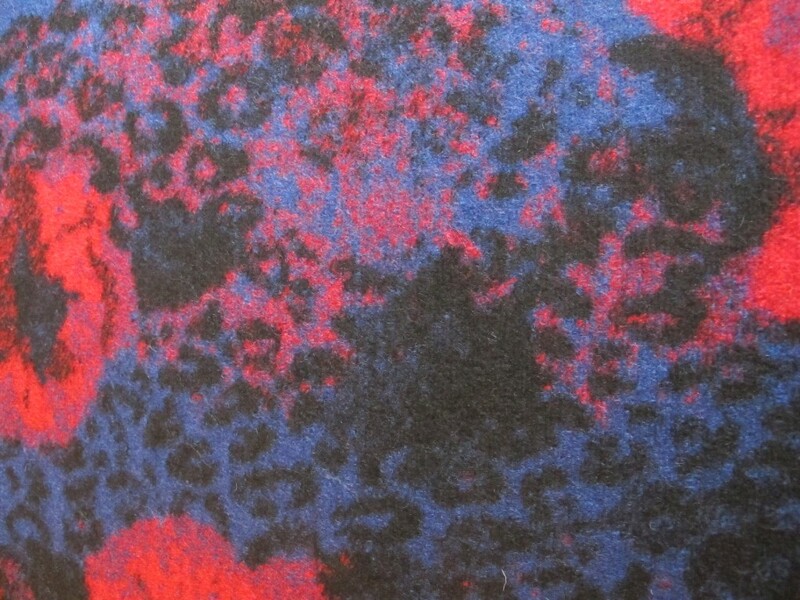 I know this is an Italian designer woollen and my guess is that it is a Cav@lli fabric. Perhaps you can see in the this image the base print is a hazy leopard spot which is then adorned with big crimson blooms. Cav@lli had a couple of collections featuring this type of print. I can’t be sure with this one, but that is my shot at a guess. 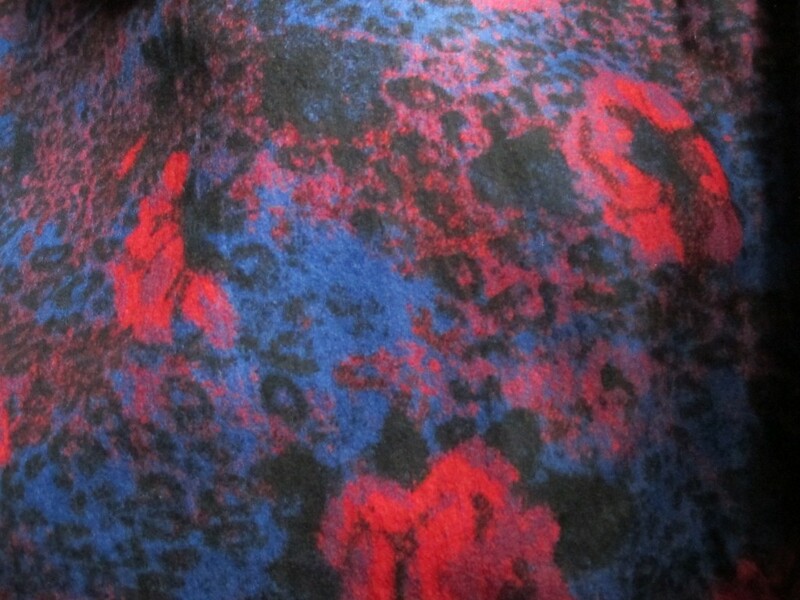 Honestly, I’m not happy with my photos for this fabric, but here’s a close up. The red is much darker and duller than shown here. 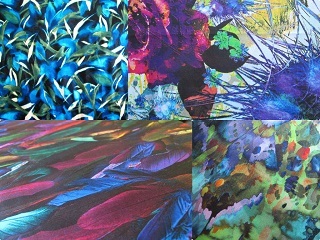 The nature and weight of this fabric lends itself to lots of possibilities: coat, jacket, trench, dress, skirt. 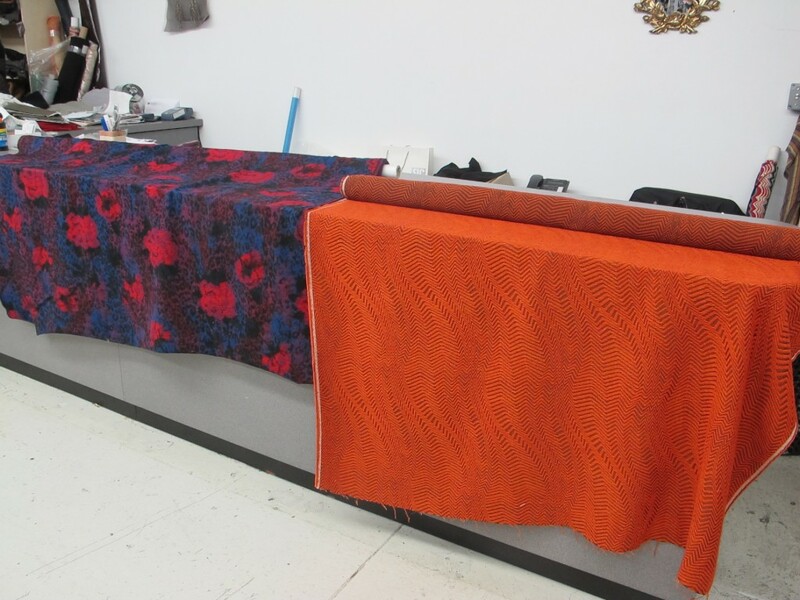 It is also a great woollen for milder winter climates because it is a lighter weight. This fabric is really wide at 160cm and the length is 2 metres. I paid over $40 (US) a metre but I’ll ask $38 a metre/$76 for the piece. I would not be letting this one go if I thought I would be sewing any time again soon! This piece will need to go in the medium satchel for $13.40. Please see here for full details on payment and posting. If interested, please click on the email link below; fabric details will appear automatically and I will get back to you asap. (Australia delivery only thanks).